For inactive Philadelphia real estate investors, they are usually exposed to several risks. In mitigating these risks, an important factor to be considered is diversification; and Philadelphia is an ideal environment for that. It has a great many different neighborhoods, income levels and tastes. 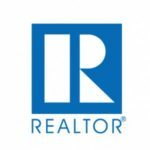 Becoming an inactive real estate investor might be due to various reasons including time constraints, or inadequate knowledge and exposure. Nonetheless, one crucial reason to become a passive investor is that it presents you with a chance to diversify, even within your Philadelphia real estate portfolio. Risks are everywhere, even in the Philadelphia real estate investment market, but they become more evident when you fail to diversify. Diversifying your entire investment portfolio is not limited to investing in real estate passively, you can also decide to diversify even further in that same niche. How would you feel if all your properties are concentrated in one geographical area, and a disaster occurs in such an area? What kind of impact would such a disaster have on your investment properties? These concerns, among others, are why you should consider diversifying your real estate investments. As a passive investor, mitigating your risk starts with passive investment. Apart from geographic diversification (as described above), you can diversify across asset classes. For best results, it is advisable that you mix up the asset classes you will invest in for your real estate investment portfolio. Also, it is not compulsory to invest in every asset class, just settle for a viable few. Local investment, within the Philadelphia neighborhoods an investor knows well, is common to newbie investors. However, this exposes you to risks of local economic setbacks. There is never a simultaneous movement or expansion and contraction of real estate markets. Thus, your risks can be mitigated through geographic diversification. When there is a fall in the local market of a certain area, the effects of such can be reduced by returns from investments in other geographic areas with a high market. As passive investors interested in diversification, you can start by using a connecting region approach, i.e., invest in locations closer to each other, or in various geographic areas with connected demographics, such as a higher proportion of college graduates or workers with high income. Apart from geographical diversification, asset class diversification is another means of spreading your real estate holdings. As a passive investor, you can benefit from asset class diversification, as it offers a safe haven during economic downturn, while increasing your return when the economy is doing fine. Self-storage properties and retail with major anchor tenants are two options that thrive during economic dips. To further lessen the risks involved, you can engage in further diversification within your asset class. Diversifying your holdings is easier when you are a passive investor. Furthermore, you have the chance to work with industrious and dedicated partners that will offer you excellent investment opportunities that bear great potentials. And lastly, you get to manage your time better through professional management. Very punctual service. They always keep all maintenance appointments and are very professional and pleasant to deal with. It was an amazing relief to find a service that’s reliable as this one is. I’m not around much, and can’t keep an eye out on everything, so it’s great knowing that everything is taken care of. I spent a lot of time looking for the perfect property management team. These guys go above and beyond. Extremely professional, responsive and lovely to work with. I highly recommend this property management company. I own a lot of rental properties, and at one point, I was so busy with maintenance, repairs, and collecting rent that I completely neglected my family. Thanks to this property management company, I now have time for everything. Being a landlord isn’t my day job, but it was taking up pretty much the entirety of my day. That’s why I finally decided to look for a property management service to take some of the pressure off. Now I can finally focus on what’s important growing my business. I’ve hired many property management companies over the years, but none of them met my expectations. Then, one of my colleagues gave me the number of this company, and the rest is history! I can now relax and enjoy my life, instead of worrying about any issues related to being a landlord. My apartment association recommended this property management company to me, and since I didn’t have another one in mind, I decided to give them a call. Ever since I hired them, I don’t have to deal with prospects and tenants anymore. Thanks to them, I don’t have to worry about collecting the rent, dealing with never-ending repair and maintenance issues and all other aspects of being a landlord! I appreciate them for maintaining my rental property without any major issue. I feel like that my property in safe hands and the management doing an excellent job. They responded quickly, professionally and take care of everything. Working with them for the last few months has been smooth and stress free. This is the most professional company of its kind in the city! I’ve tried a few of them, and this one is, by far, the best there is. It's really good to working with them. 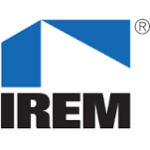 This is the best property management company that I know. Very much responsive to emails and calls, Communication is what I am impressed with this service and also their managing skills. They deserve five-star ratings and all the praise. I own and run a couple of buildings in the city, but last year I had to go abroad for six months, and I didn’t know what to do. I couldn’t burden my family and friends with that kind of workload, so I decided to hire professional help. This rental property management agency has taken care of everything while I was gone. I used to love dealing with my tenants, but recently it has started to feel like a nightmare. 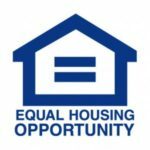 Deciding to hire a rental property manager has helped me out immensely! I can just collect the profits now without dealing with the boring stuff. I met Scott at Grow Property Management. He was very helpful to us during the selection process. I requested a flat on the top floor, Mr. Scott made sure to fulfill our requirement. As expected, the paper process was quick, and we agreed to their terms and conditions. Two months passed in this flat, we're happy and no issue whatsoever. This company brings me peace of mind. Very quick to respond to any issue. Would recommend to all the people I know. Last year I bought property in Philadelphia through my friend's reference, and It's a rental apartment. I planned to stay in US next two years to set up business, but sadly I wanted to go the UK for family reason. I got to know about this management service, I had a meeting with them, and I requested to manage my property until I come back and we signed an agreement on the same day. One year passed, Grow Property Management doing a fantastic job. I am getting all the details every month; I highly recommend! It's a costly property and completely hand over to someone to manage was a tough call. My Day and I had a conversation with my fellow builders and landlords and finally concluded by selecting Grow Property Management. So far my experience with this management company, fabulous. I don't need to remind them every month. The report, bank deposits, agreements, etc. always reach my home on time. They made me, and I am very thankful for that. Good management team. I had some questions regarding apartment facilities. Adam from Grow Property Management talked with the landlord and helped me to meet the landlord directly at his home. Very transparent and helpful. I have rented out from a couple of places throughout my degree life, and by far these guys have the most professional management service. Very convenient to contact them in case of issues, treats their tenants with care and passion. I have managed myself for over five years, but I am unable to do because of health issues. I supposed to handover this to a relative but I had no confidence in how they are going to maintain, and I can't say anything bad if things go wrong. I came to know about this property management when I attended my brother`s wedding. Fortunately met our old neighbor he gave contact and luckily the same day I was able to meet the manager of Grow Property Management. Talks went well, and I signed the agreement the next day, and they immediately took charge and had done a right thing. Two years passed until today I haven’t heard any single complaint from my tenants and everyone happy about their service. I am so happy with this management team. Being outsider, Its not easy to manage your property in Philly. This team came to rescue and saved my time and also providing a wonderful service to my tenants. Thanks a lot Grow. Keep Growing Big! A very professional management team. These guys are also easy to communicate with in case of issues. Unlike my previous encounter with a property management crew, They are punctual and too competent. It was a great experience actually to deal with this property management crew. Till date, one of the best crews I've met as they were well-equipped about the property. They were always available to answer us any queries we had, without a slight annoyance. This company is a owners delight, and for tenants like us, who would in other days chasing the renters and cleaners for the rents and the service, this company efficiently manage the property with less involvement from the owners. This company has a dedicated property manager who is available at all times to receive calls or messages whenever there is a problem reported. The property manager quickly arrives at the property and assess the situation for a fix. Their monthly charges for maintaining the property is very competitive. A great company to do business with and would recommend for any owners for their private or holidays homes with this company. 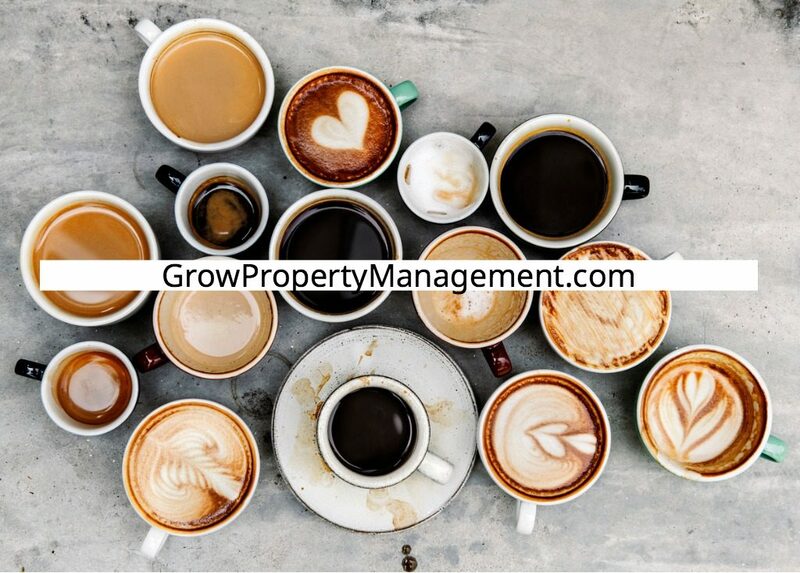 Grow Property Management has been managing our rental property. I am happy with their service to our tenants and as well as good back-end support. Staffs are very detailed oriented, and I am getting updates regularly. I would recommend to my colleague and friends if they ever ask me for property management experts. Grow Property Management had done a great a favor to me by managing my properties. I am not in a position to maintain everything myself and sort out the needs of tenants. I made a right decision by signing with this service. Mostly I will stay in my Bay Area Villa, and it's challenging to travel and come to visit every month. Now I don't need to, grow property management doing everything it needs to be done. I tried the various method to maintain my rental apartment myself, but i failed miserably since I have to focus also on business and family. I am glad I found this service in my first attempt to search a management company. I was impressed by way of work presentation they showed to me, and I was immediately hired them and signed a contract. So far, everything going smoothly. They are managing everything neatly and beyond my expectations. I hope everyone who owns an apartment agrees with me. It is not an easy job to maintain everything yourself. When your apartment filled with tenants and you have to go every month and knock door to get rent, you have to manage the reports, tax, electricity, water and what not? But if you hired a Property Management solution, you can stay relax and concentrate on other tasks. I am happy that hired this Property Management. They are doing an excellent job. Many good things can say about this company. The manager is visiting the property regularly to make sure there is no issue for our tenants. His staffs are collecting rent on time and sending a report every month. Very good administration and I am impressed by the way they are working. I took time to select this company, and I am glad I picked this company over other companies. I am not surprised to see the positive reviews here. This firm is doing an exceptional job. They aware of landlord-tenant laws, their behavior with tenants also good and there is a guy on this team who is no less than a lawyer he is very talkative, and he is capable of getting things done. Overall, I am impressed with this management. I am happy that I found an apt Property Management Team to handle our Rental Properties. Philadelphia Property Management Solution not only took Rent Responsibilities and also managing the budget and maintaining records of signed leases. Rent collection, costs of repairs, etc. The best thing about this management, they assist in filing taxes for the investment property. Five Stars! Managing multiple properties is time-consuming and bit tough task. So I decided to sign up with a Property Management company to feel free and spend more quality time with friends and family. My friend is Govt Attorney, and I always ask suggestion to him, when I asked about some legit company to handle one of my Property he gave me the Business card of Philadelphia Property Management Solution. I am so pleased to work with this company as they are helpful to my tenants and I am getting regular updates from them as well as painless income. Thank you, Dear, for doing a great job! God Bless. Philadelphia Property Management Solution is truly the best property administration firm in the city! I moved to California temporarily, and I am unable to maintain my rental property in Phil. My friend suggested this company; I am glad I came to know about this service. Staffs at Philadelphia Property Management is highly professional and polite people they are doing a great job. Every month I am receiving the report of Income and expense statement. Keep up the good work! My experience with Philadelphia Property Management Solution has been exceptional. I moved out of the US with the military and needed someone to manage my home. I didn’t wish to sell it as I love it and Philadelphia. I hope to move back soon. The staff at Philadelphia Property Management Solution are all very committed to their jobs, and my property. They are always very helpful, friendly, and extremely responsive. There isn’t a thing I can say against this company. I would definitely suggest their rental services to anyone. 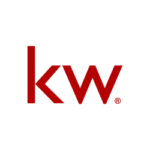 Follow up & updates on my rental property are crucial to me as a property owner & investor. Philadelphia Property Management Solution is hands down the best property management company I have ever dealt with in, or out, of Philadelphia. Exceptional! There is never a vacancy, Joe, the owner, follows up on every email or call, even after his staff does. And there is no need as his staff is top notch. All rents were increased and the amounts are put directly in my account monthly, with a full statement on the property. I can’t imagine using a different property manager. Happy to give this review. Normally I wouldn't never take time to leave a review for a property that I am only paying rent for; but I’m making an exception for Joe White and his company Philadelphia Property Management Solution. My central air unit stopped working and within 10 min. Of my reporting it the repair was scheduled to be fixed. Within the hour Joe dropped off two portable AC units he apparently keeps encase this happens in one of the rentals he manages. He oversaw the entire repair, and the property rental portal has updates on the repair at each step. It's frustrating not having AC in a Philadelphia summer; but knowing his company knows this makes all the difference. They truly are an exceptional property management company and the owner truly seems to care about the tenants he manages. Best. Property. Management. Company. Ever. Philadelphia Property Management Solution started managing our rental building last year and everyone of us tenants are relieved. The last property manager we had left repairs unfixed everywhere. When Philadelphia Property Management Solution took over, all these long, unfixed and neglected items were fixed within the week. They have an online tenant portal where rent payments can easily be paid and repairs can be reported 24 hours, 7 days a week. They've exceeded expectations I‘ve ever had in a rental. I cannot speak highly enough of Joe’s knowledge, support, and the property management services Philadelphia Property Management Solution has provided our rental property. My husband and I have a rental property in Society Hill, Philadelphia and we were anxious being first time landlords and we had no idea what to expect from tenants, repairs and the city. Joe and his team handled the entire process, took the keys and managed everything; but he keeps us informed with monthly rental statements about the property and we feel like he’s family. His staff is extremely trustworthy and honest, he returns calls quickly. We could not have asked for more in a property manager. Perfect response! 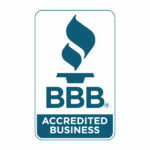 trustful Property agency!Thanks and appreciate for the job you did on my system! I never forget this agency and I will introduce to everyone. We are highly recommend! Amazing experience.I will make sure that i quickly find the Property Management centre of my choice.Such a wonderful place! The staff was so nice,Thanks. Great company, great staff. Overall just wonderful. Excellent service very professional and knowledgeable. Would without doubt recommend to anyone! My experience Philadelphia Property about was very positive. The team was professional and friendly. They helped me to quickly assess the properties available that met our needs, choose the best option, and close the deal in just a few days.I had a great experience with them. Thank you so much! Thank you! Amazing responsiveness, expertise, and customer service. Wow! You guys are the best! Thank you. Been having them manage my property for years and have had no complaints at their service, manners, or methods. Highly recommend them for keeping things simple! Their services are exceptional. I never have to check behind them or hold their hands. They do exactly what they are paid to do. They have been on top of things and well maintained so far. I would highly recommend residing here as a tenant. You will be well taken care of. The best property managers I've ever had to be honest. They are up front, honest, and transparent with their actions and words. I would highly recommend anyone to rent from them! You won't be disappointed. Absolutely fantastic service, with quick phone response and kept me up to date with text messages. He gave great advice and offered options, did everything quickly and efficiently, and was very nice. I recommend him 100%,,, Thank you so much!!! Their professional attitude with friendly nature makes them different. We are so happy with the place they found for us and are so grateful to them. We recommend everyone to talk to Joe Property Management Agent. Best Service, thanks! Great service! They explained everything to me and made sure I was satisfied. Very respectful and have reasonable prices. I will most definitely be a returning customer.Thanks! I’ve loved working with Joe - Grow Property Management Have since rented two houses through Joe and each time has been fantastic. He’s addressed issues promptly and was very thorough throughout signing process. They were nothing but flexible with move-ins and have been nothing but a pleasure to work with. Depending on your budget, Joe has an amazing selection to offer and compared to other property management companies in town, I won’t go anywhere else! I have yet to work with a property manager so willing to go out of their way to help than with Joe! Thank you Joe! Easy to work with. Straightforward and to the point. Customer service is reliable! Not faceless like MOST property management companies out there! Philadelphia Property Management has been successfully managing a couple properties of mine for years. They make the process of being a landlord so much easier. I never have to chase them down for an update or question their property management skills. Their methods seem to be effective. I've had positive results from each tenant thus far. I highly recommend their property management services if you own property in the Philadelphia area.